You'll need a pry tool, a phillips screw driver and a t-27 torx bit/tool. Image 1 & 2: Pry the side panel off. Its just held in with plastic clips. Image 3: Circled in red are the two torx screws which must be removed. Image 4: Circled in red are the two phillips screws that must be removed. That big unit with the yellow sticker is an airbag FYI. The red arrow points to the very bottom of the fuse box which is still inaccessible. Image 5: Grab below the steering wheel where the panel has a gap and give it a good yank, keep in mind there is the headlight switch and another sensor (interior temp?) that are attached to this knee panel. Germaneon, MagicBlaze and phmmuller like this. Last edited by dawm; 04-21-2018 at 09:38 PM. 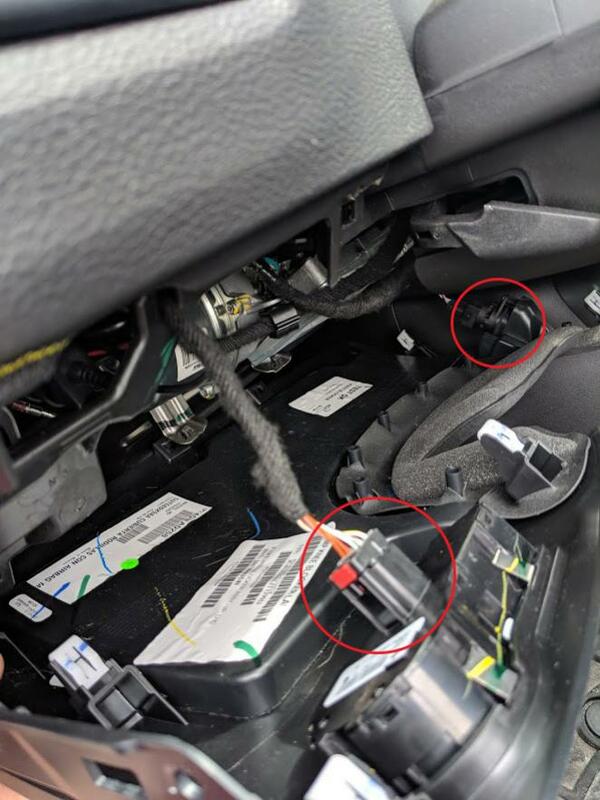 Image 1: Circled in red are the headlight switch and temperature sensor? These need to be disconnected in order to completely remove the knee panel. 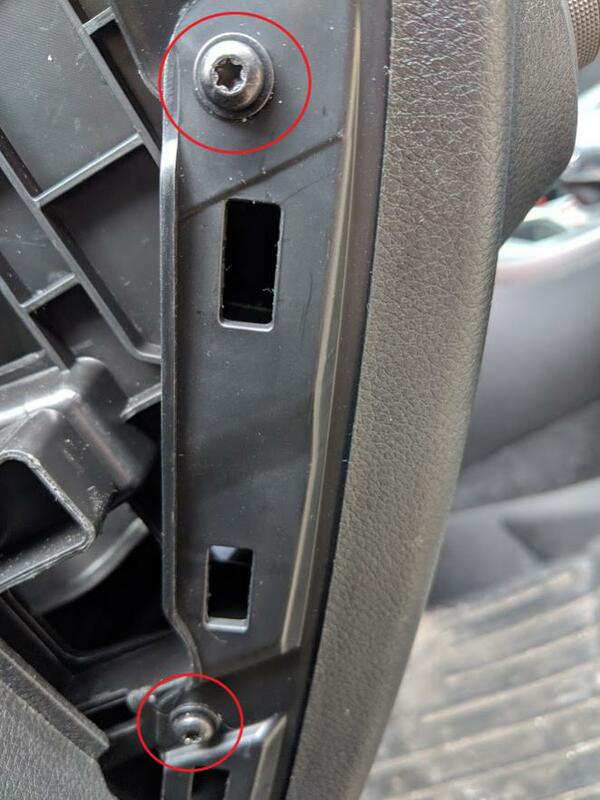 Pop the red tab up on the headlight switch and squeeze to unlock the connector, the other connector does not have a locking tab, just squeeze the end of it to remove the connector. 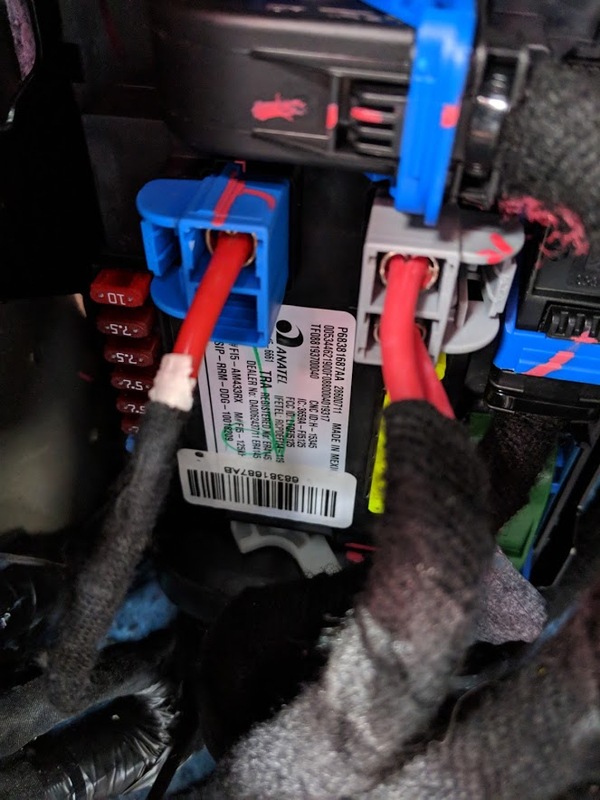 I only unhooked the headlight switch and laid the panel off to the side, they actually give you a decent amount of slack on the harnesses so you can leave the other connector attached and just stand the panel on end on the floor. Image 2: Finally you can see the fuse box! Image 3: Closer view of the fuse box from another angle. Image 4: Here is a diagram which shows you what each fuse is numbered in comparison to what the owners manual tells you the fuses are.. The owners manual DOES NOT have a diagram, just a list of the fuse numbers, amperage and what their function is.. stupid FCA. 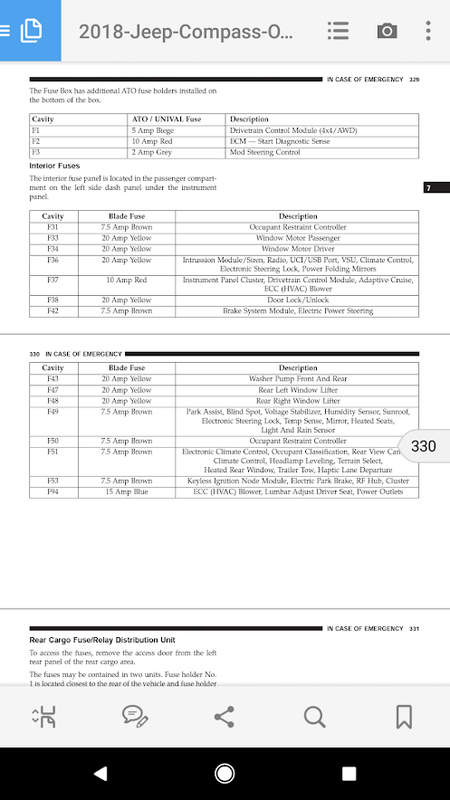 Image 5: Is a screenshot from the owners manual listing the interior fuses on the previously shown panel. Installation is the complete reverse of all the steps you just took. 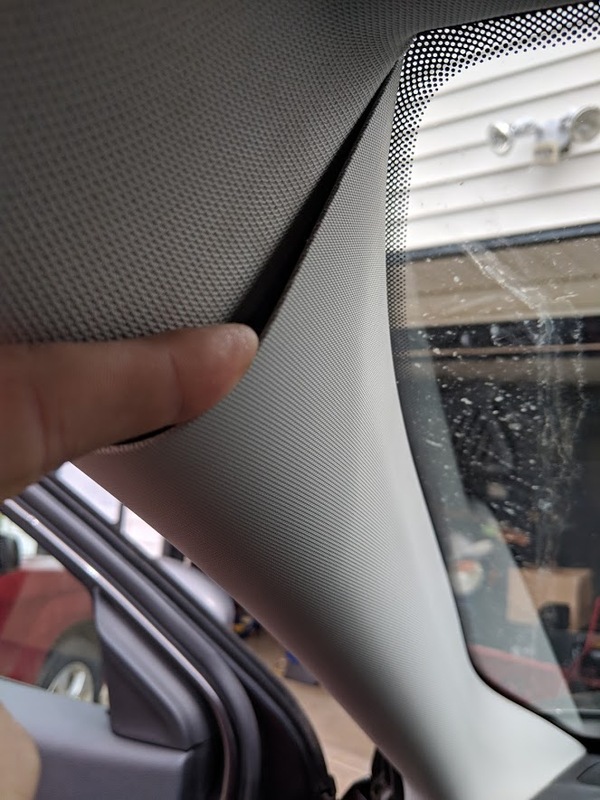 If you're looking to remove the A pillar trim to hide some wiring (dash cam), the next post details how to do that since this is why I had all this apart. 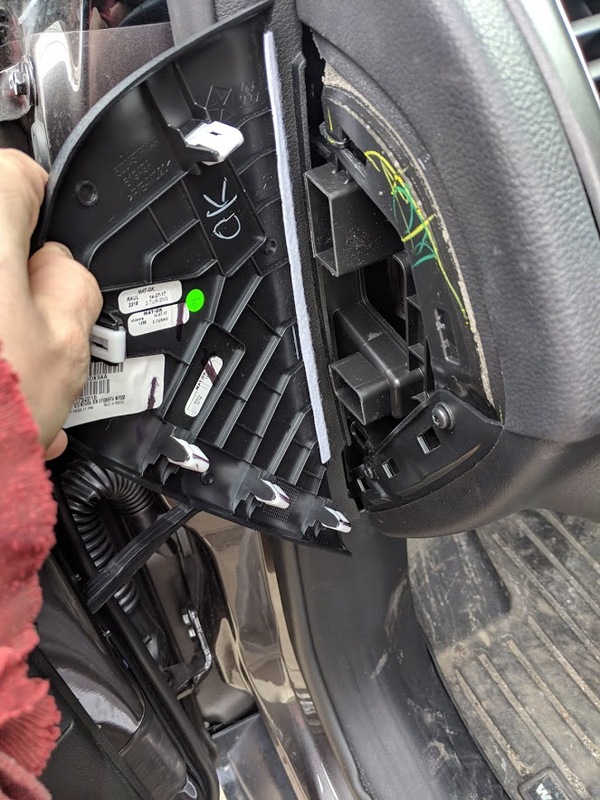 I chose to use a "add a fuse" and hard wire my dash cam wiring. The fuse I chose was #94 a blue 15 amp, the bottom most fuse on the left side. It controls the lumbar adjust in the power drivers seat, the blower motor and the power outlets. 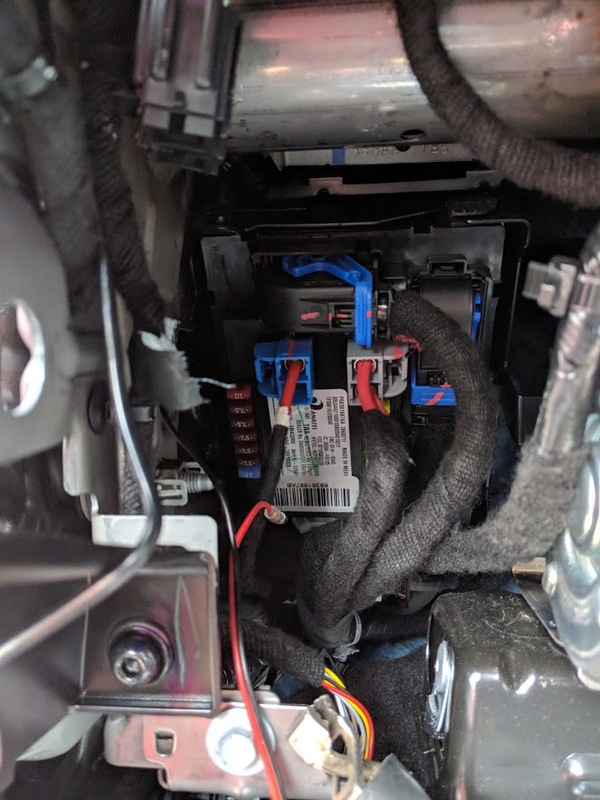 This fuse is only powered when the ignition is on and running, I used a 3 amp fuse for my dash cam connection and the original 15 amp to complete the fuse circuit. Last edited by dawm; 04-21-2018 at 09:42 PM. Information for removing the A pillar trim is as follows. 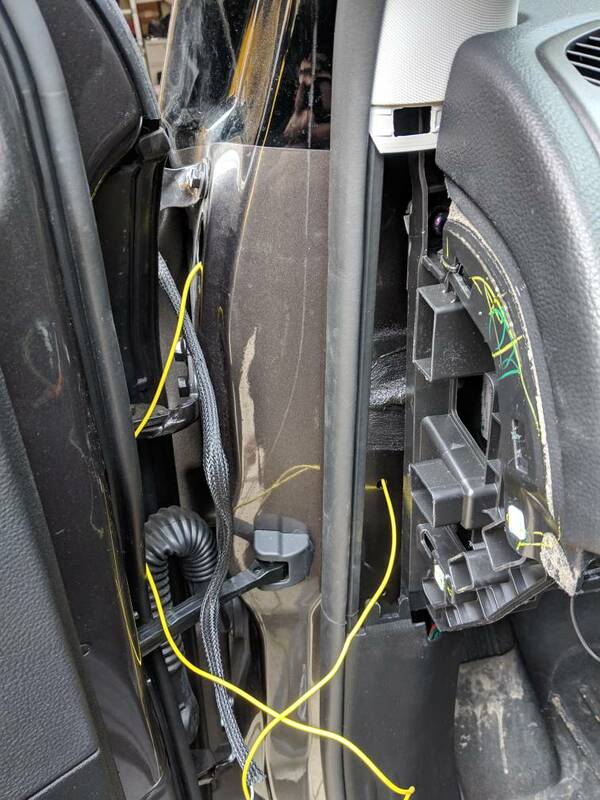 I had mine off because I was routing the power wire for my dash cam, you can see it along the pillar and some of the wiring in the previous pictures. 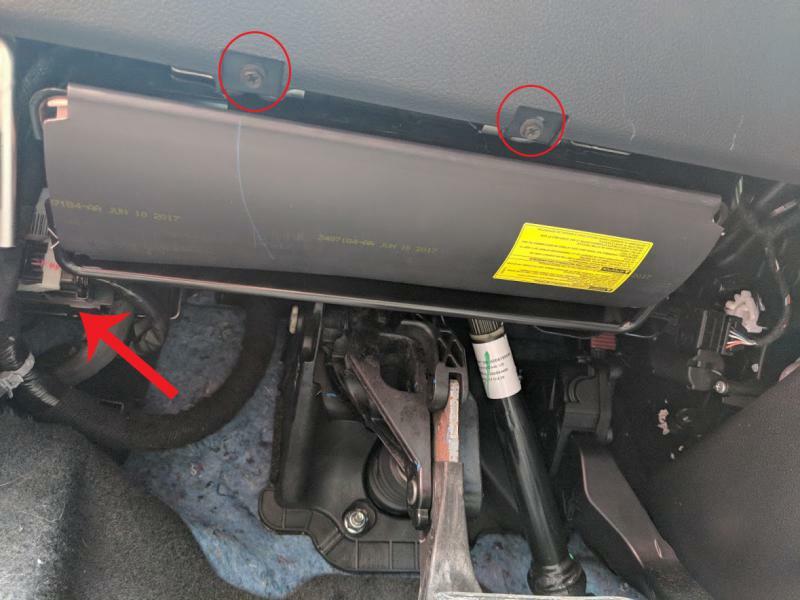 My vehicle has an airbag behind the A pillar trim, not sure if they all do but keep in mind there is an airbag there before you start poking around with any tools trying to remove the A pillar trim, NO TOOLS are required to pull the A pillar trim piece down, the headliner is flexible enough to pull it down enough to get your fingers in behind it. Follow the steps in the first post to remove the side panel. 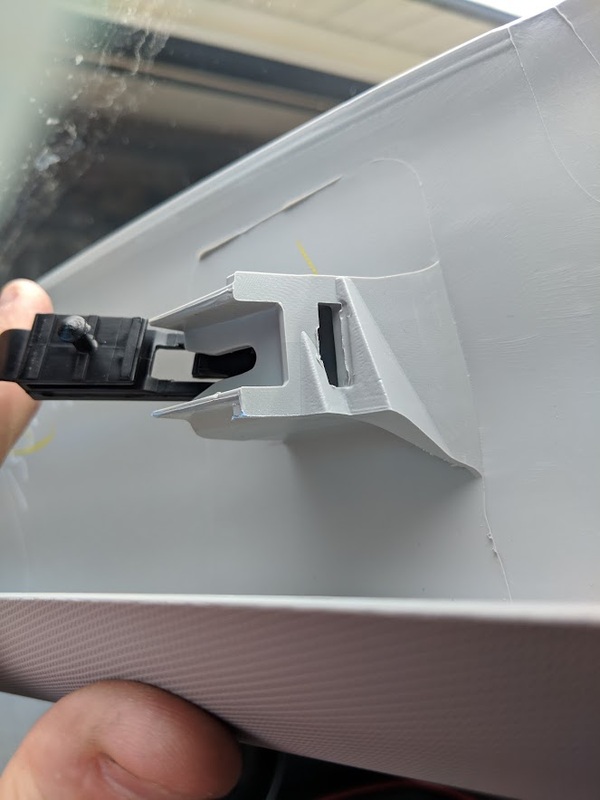 Image 1: You'll need to remove this little filler panel, it kind of twists out so you need to grab the side closest to the weather stripping and it will unlatch and you can pull it out. Image 2: Get your fingers behind here and pull outward towards the center console, not directly straight back but like you're aiming for the shifter. Image 3: Circled in red is the tab you need to push down to release the hanger? I'm guessing this is to keep the pillar from hitting you when the airbag deploys. 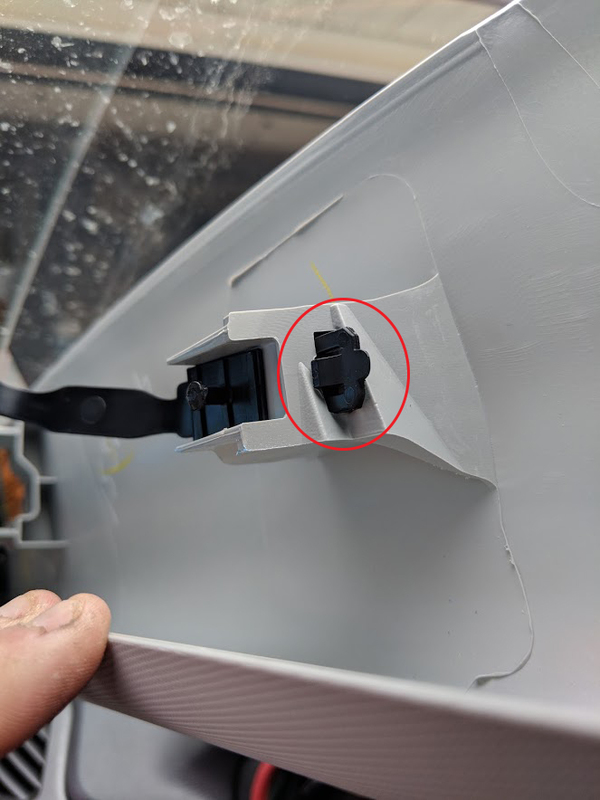 Image 4: Is the hanger released, Once you unlatch the hanger, youll have to wiggle the bottom of the pillar trim piece to get it out from between the dash and the chassis. Image 5: Is my A pillar with out the A pillar trim piece. 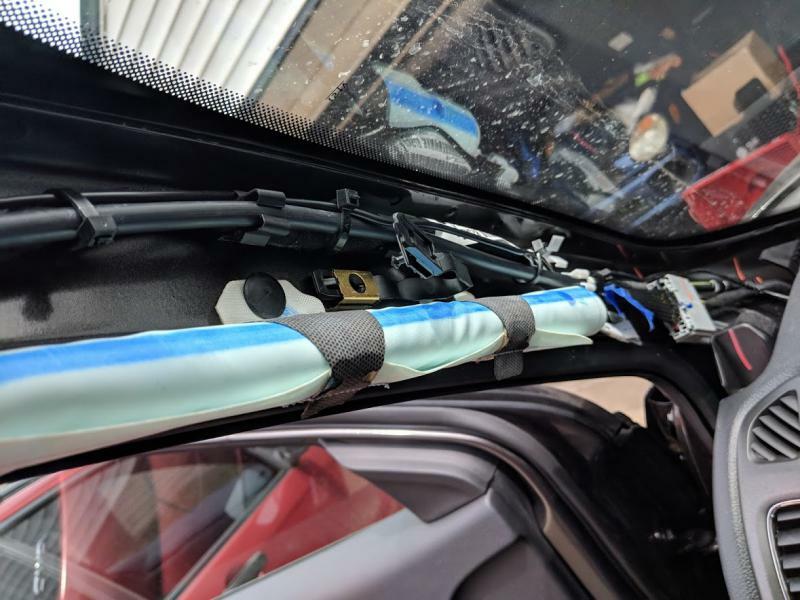 I routed my power wire for my dash cam along the path of the rear washer fluid rubber tube, and loosely secured it with zip ties. Installation is the reverse of the instructions above. Note that getting the A pillar trim back in at the dash takes a little wiggling and looking in at the dash section from outside the car, it has a tab that has to go into a slot to properly be secured, its easiest to see and line it up by looking through the windshield from the outside while working with your hand inside. Thanks dawm for taking the time to post this procedure along with all the photos. I'm new to the world of Jeeps and FCA, but I think I must be missing something here. Is this really the process needed to just access the fuse panel? Disassemble a good portion of the lower dashboard with multiple tools and specific knowledge that is obviously not in the owner's manual? Just to check and change a fuse? On every other vehicle I've ever owned the fuse panel(s) were relatively easy for the owner to reach. I would hazard a guess that the process you illustrate would be beyond most owners. Does FCA really expect us to have our vehicles towed to a dealership just to change a fuse? 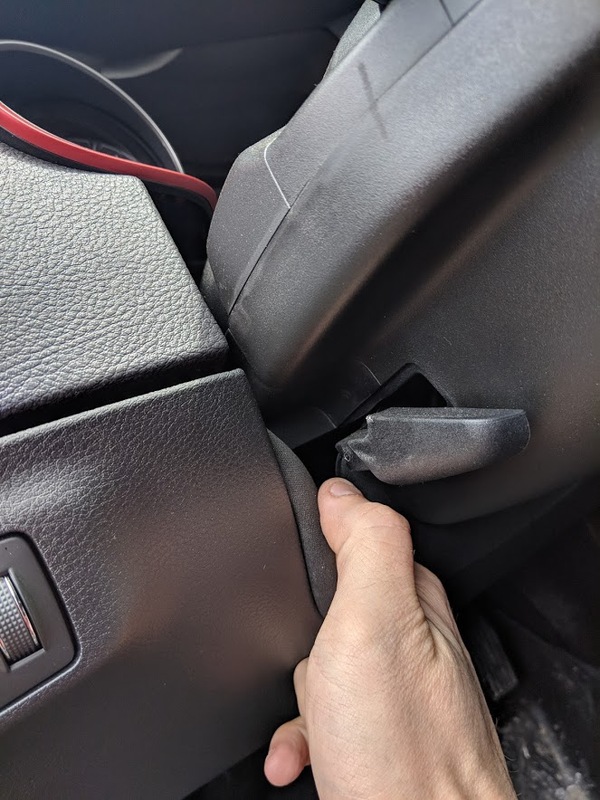 I'm new to Jeeps as well and also couldn't really believe it would be that difficult to access a fuse panel. In my last car, you just pulled 2 plastic caps off (with your fingers!) and pulled down a cover in the passenger foot well. They don't want people to mess with that stuff anymore, so they are happy to bury it deep. As an added bonus for them, it increases the amount of time racked up on the clock when a $100/hr "tech" is working on your vehicle. Anyways, thanks for the writeup! OK, my 2015 Jeep Compass doesn't have a panel that looks like you can pop it off on the side of the drivers side. Also, my lights are controlled from the turn signal switch. You sure these are Compass pictures? LMFAO. Are you sure YOU have a 2nd generation Compass? I don't think so. dawm and zsc1991 like this. Hey Guys, im new to the jeep life. The front wipers on my 2015 Compass stopped working, I tried looking for the fuse in the front fuse box but it only shows the rear. Any clue where i can find it? I checked for power at the motor but its dead so im guessing the fuse is blown. Nope because this is the 2017.5+ section. 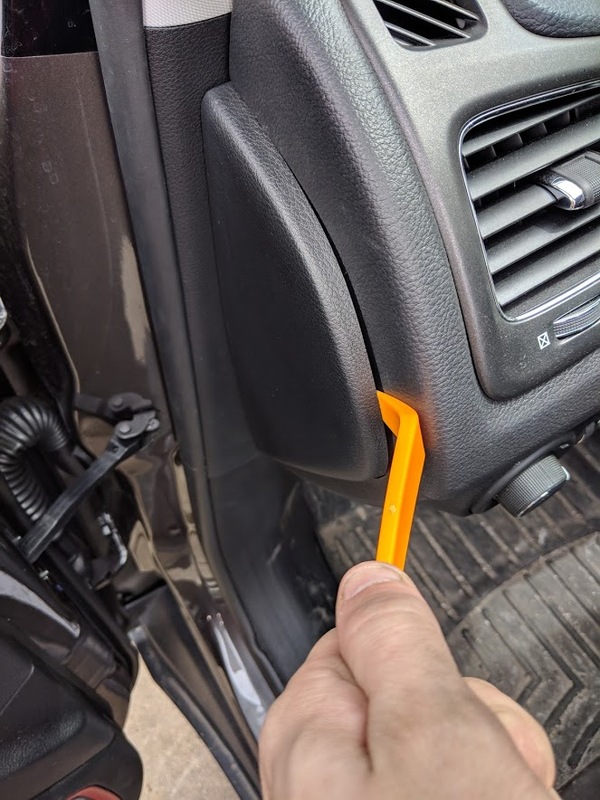 2018 Trailhawk here: Keep a torx (short handle or no dice on the lower screw by driver side panel), phillips, ratchet (if you didn't keep a short handle), needlenose or fuse puller, and a flashlight in the car at all times if you don't want to be stuck in a parkinglot or roadside somewhere because of an interior fuse. It's ridiculous, even after taking everything off I was still nearly elbow deep into the dash to pull a fuse. Combine this with nearly the same procedure to take the glovebox out and replace a cabin filter and it really does feel like they expect compass owners to take their car to the dealership for EVERYTHING. It's both annoying and insulting. After all of this, how would one get through the fire wall? I'm trying to wire some off road LEDs and need to get the rocker switch/wires from the engine bay into the cab. 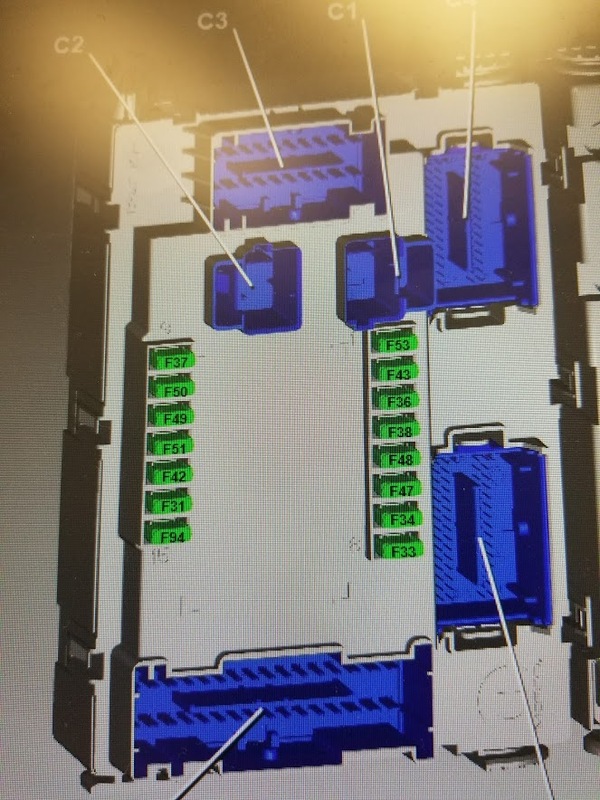 All the existing ports seem to be maxed out with the existing wires and leave little to no room to feed any additional wires through; let alone an entire rocker switch. Has anyone found a different route for wiring? When I added the tow kit wiring to mine, I removed the cowling and wiper motor to get at the rubber boot holding the main harness at the firewall. It's held in place by tension, and I was able to pull it a few inches into the engine compartment with a little bit of effort. Once it was clear of the firewall and I could see both sides clearly, I used a 3/8" forstner bit to drill a small hole in an available spot to the left of the main harness hole. 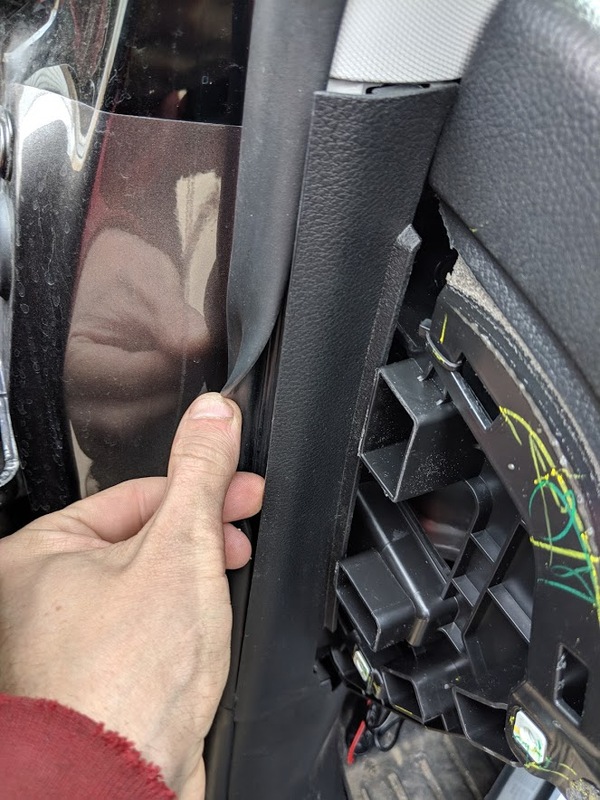 You can technically do this without removing the rubber boot from the firewall, but there are plastic reinforcements inside the boot and it's difficult to get oriented correctly. Pulling it clear is optional, but safer. You do NOT want to catch the main harness with your bit. After the wires were pulled through, I sealed the hole with some black permatex. No water or air leaks. Used a razor blade to smooth it out so it's even level and ALMOST looks factory. Not that it matters...once the cowling is reinstalled, the hole can't be seen anyway. The rocker switch might be pushing it size-wise. I'd recommend removing the switch and wiring it back up after you've passed the wires through the firewall. Even with the method I used, you're probably going to max out at about a half-inch diameter hole. Note the routing of the yellow wire.